COLUMBUS, OHIO, August 7, 2017 — WOSU Public Media received an Emmy® Award Saturday evening from the Ohio Valley Chapter of the National Academy of Television Arts and Sciences. The chapter presents the prestigious Emmy Awards to television professionals in thirteen markets from four states. 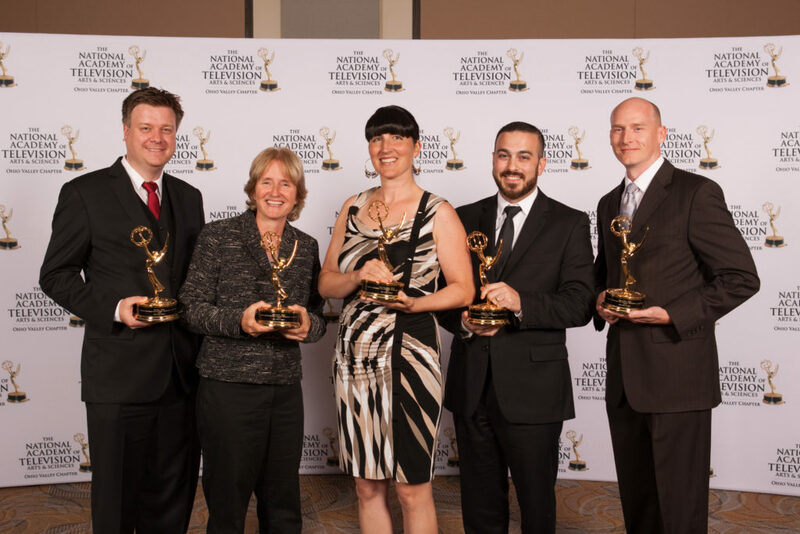 At the 53rd Annual Ohio Valley Regional Emmy Awards, Columbus Neighborhoods: New Americans won for Documentary – Cultural / Topical. The hour-long documentary looks at how the immigrant experience not only defined the character of Columbus during its foundation and early growth, but how immigrants now are adding to our culture, supporting our economy and reshaping the American dream. Watch the entire documentary here. Columbus Neighborhoods: New Americans was the twelfth and final television documentary to air as part of WOSU Public Media’s Columbus Neighborhoods, a project originally developed to celebrate the city’s bicentennial with a focus on the rich cultural past of Columbus’ historic neighborhoods. The series was honored with the Greater Columbus Arts Council’s Artistic Excellence Award and many other Emmy Awards. Major project support for Columbus Neighborhoods was provided by State Auto Insurance, JPMorgan Chase, and the AEP Foundation. WOSU Public Media is a community-supported, noncommercial network of public radio and television stations, and digital services. To learn more, please visit wosu.org.